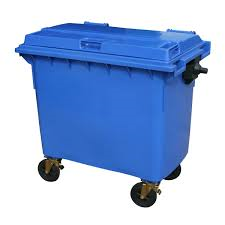 Used to contain and handle general, food waste and recyclables. Commonly used at shopping centres, restaurants, service stations and commercial operations. Emptied by rear loading compactor truck. 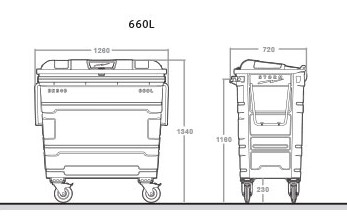 Optional extras: Braked castor wheels, Directional wheels for towing, Pedal operated lid, Steel side lifting pockets and Hot stamping of your of company logo.